The Russian edition of the Opera Omnia of Benedict XVI Ratzinger – Volume XI has just been published; along with it, a roughly 500 word Preface for the work that was written by Benedict the Abdicator at the project’s inception back in July 2015. 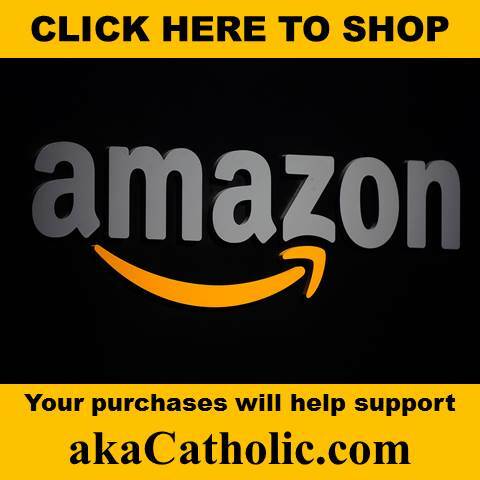 Rorate Caeli has provided an English translation that is already getting considerable attention in both neo-conservative and traditional circles. In the conscience of the men of today, the things of God, and with this the liturgy, do not appear urgent in fact. There is urgency for every possible thing. The things of God do not ever seem urgent. The deepest cause of the crisis that has subverted the Church is located in the effacing of the priority of God in the liturgy. There is some truth to this statement indeed, but let’s not give the contemplative member of the newly expanded Petrine Office a standing ovation just yet. In the years that followed Vatican II, I became once again aware of the priority of God and of the Divine Liturgy. The misunderstanding of the liturgical reform that has spread widely in the Catholic Church led to putting ever more in first place the aspect of instruction and that of one’s own activity and creativity. Let’s take this paragraph one sentence at a time. In the years that followed Vatican II, I became once again aware of the priority of God and of the Divine Liturgy. This sounds about right given what we know of his activities at the Council as peritus and adviser to the liberal Cardinal Frings. But what are we to make of his claim that he “became once again aware” of these things? If one were to press a “Ratzingerian” for evidence in support of this claim, there’s little doubt that Summorum Pontificum would top the list. 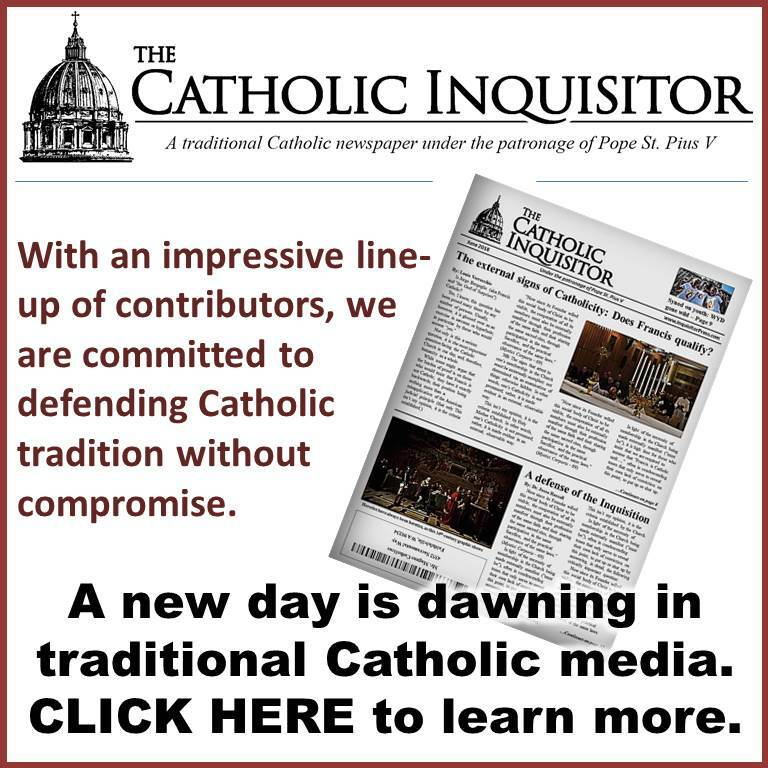 While the motu proprio did open the way for an increase in the celebration of the Traditional Latin Mass, it did so at the expense of truth; primarily by way of the nonsensical assertion that the Novus Ordo Missae is simply another form of the one Roman Rite when even a child can see that it is an altogether different rite – one with a theology and a focus all its own. The misunderstanding of the liturgical reform that has spread widely in the Catholic Church led to putting ever more in first place the aspect of instruction and that of one’s own activity and creativity. You see, for Ratzinger / Benedict, the “reform” went awry because the reformers simply “misunderstood” the directives that were set forth by the Almighty Council. This, of course, is the same position being espoused by neo-conservatives like Cardinal Sarah and other Benedictine disciples. So, where on earth did the “reformers” (more appropriately, the destroyers) get the idea of stressing the “aspect of instruction” in the liturgy? You guessed it; from the Council. This provides a great example of the forked-tongue with which the Council spoke. That’s right: The Council Fathers – some naively, others deliberately – plainly established the work of ecumenism (not Divine worship) as the principle driving force behind the process of liturgical reform that would follow. To be very clear, while Holy Mass is thoroughly imbued with, and conveys, Catholic theology, thereby forming the faithful accordingly (at least in the case of the traditional Roman Rite), it is not “didactic” in nature – it is Sacrificial, propitiatory, and redemptive. My children, how can I explain it to you? Ask an Angel what a Mass is and he will reply to you in truth, ‘I understand what it is and why it is offered, but I do not, however, understand how much value it has.’ One Angel, a thousand Angels, all of Heaven, knows this and thinks like this. The Mass is infinite like Jesus. It is thanks precisely to the Council and its insistence upon an “easily understood” rite that the Novus Ordo Missae is devoid of sacred mystery by design; not simply by way of abuse. So, let’s not pretend, as Benedict the Abdicator does, that those who promote anthropocentric liturgy as a playground for human activity and creativity do so simply because they misunderstand the Council’s directives. Indeed, the exact opposite is true. In these terrible days of the Bergoglian Occupation, it is easy to lose sight of the fact that until such time as Benedict’s “hermeneutic of continuity” approach to Vatican II is rejected for the deception that it is, we can well expect “the crisis that has subverted the Church” to continue well after both men are dead and gone. As frequent visitors to this space have read many times over, until a pope comes on the scene who is willing to take the “leap of faith” necessary to do as Our Lady requested at Fatima, the above mentioned deception will remain in full force; leaving uncounted devastated souls in its wake. With all of this in mind, you will perhaps excuse me if I fail to heap praise upon Josef Ratzinger – a willing accomplice in the Vatican’s Third Secret of Fatima cover-up. Pray for him. His time to set things aright is quickly running out. Finally, the scales of blindness are being lifted for more people. It is extremely doubtful that he will ever come clean publicly about this. If he had misgivings his opportunity to do so was presented to him by the four Cardinals’ Dubia. He, himself, could easily have handed the formal correction directly to PF on a few occasions, which would not have entailed requesting a private audience or giving any clue as to what he intended to do. That done, the rest could have been followed through by the four Cardinals & their silent supporters who would have little to complain about if PB had the guts to act, but he hasn’t. As always, our only hope is in Divine intervention & our prayers should be thus directed. They are all Modernists & urgently need eradicating from the Vatican & its Episcopates. Nothing will change until this casting-out takes place. Firstly Ana, I have the sense that you mean well, as I have read you over time, so please take no offense. It would certainly be better if we would not give Josef Ratzinger the false gratuity, uncharitable from its very essence, of calling him by his self-made title of “Pope Emeritus”, as in truth it simply does not exist. As a virtuoso of deception, he has created a term designed immanently from his very own likeness and image, which literally epitomizes his perverse phenomenological distortion of reality, as to be understood in his crystal clear manifestation as an “evolutionist”, for all those with eyes to see and ears to hear. As properly understood metaphysically, his “evolutionist” assent of the intellect, in an hubris the likes of which perhaps has never before been seen, willingly suggests that “being” can beget “non-being”, which somehow then begets, “becoming”, and from within this dialectic of false reasoning, springs forth his Hegelian, “hermeneutic of continuity”, in all things VCII and within the realm of so called “modern man”. In truth, his “hermeneutic of continuity” is a pseudonym, which is best understood as the syncretic tool of deception that it is. The title, “Pope Emeritus”, of course does as it only can, yield a deception, as by placing the rhetorical term into verbal praxis, by that very act itself, the active intellect is then forced to assimilate an understanding that there could be, at once alive, more than one Holy Roman Pontiff, as commanded by our Blessed Lord and Savior, Jesus the Christ, Son of the Living God, as God Himself. This linguistic term, “Pope Emeritus”, is a very powerful weapon of deception, concocted to establish somehow within the intellect of the passive reader, a “new reality” if only there could be one, as it yields the metaphysical form of the “Pope”, while at once devoid entirely of the metaphysical “matter” of the singular, human person of the Pope. This “creation”, “Pope Emeritus”, can only be a pseudo-reality, existing in the mind of Josef Ratzinger as Benedict XVI, the deceiver, and not in the Mind of Almighty God, whose Vicar he can only remain. The exquisitely deceptive tactic that Josef Ratzinger uses and has definitively used for decades, finally clarified itself for me just of late. He affirms with crystal clarity and precision just what the ecclesial “problem” is at hand, whatever “it” may be, as he chooses to address it, in the post VC II church. In fact, he affirms “the problem” so forcefully and with such pristine clarity, that one gets the false impression that he somehow laments that very same “problem”, literally as he identifies it with quintessential, spot on clarity. The key to realizing his work of deception though, is to see that he never, ever, poses the REMEDY from within the treasure chest of ineffable Tradition; the Truth, Goodness, and Beauty, which Holy Mother Church Herself singularly, indeed is. He never speaks to the infallible Tradition of his Holy Roman Pontiff predecessors, as the only means of finding remedy for the heresy of all heresies, Modernism, as in truth, there is nothing new under the sun, since the close of divine, public Revelation 2,000 years ago. Finally, we must recall the deFide understanding as it is and can only ever be, until the end of time — Extra Ecclesia Nulla Salus. 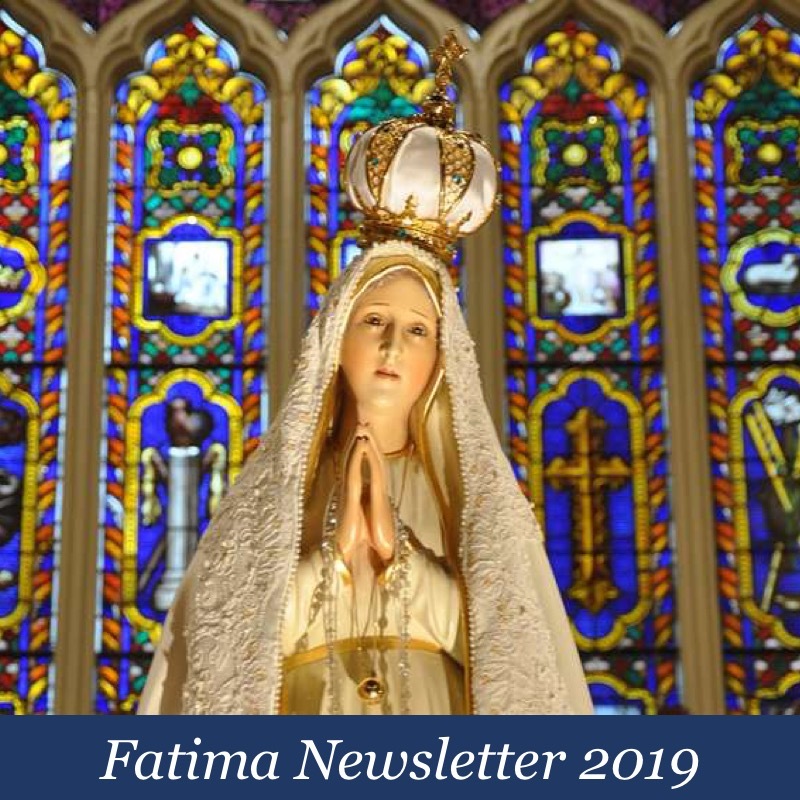 It is this singular belief of our One, Holy, Catholic, and Apostolic Faith, that same belief which rests at the very salvific foundation of Her, and as such where the wellspring of Her missionary zeal for the salvation of souls finds itself. This is the precise kill which every Modernist seeks, with Josef Ratzinger at the summa and summit as quintessential Modernist, because to kill this belief is to spring forth the Freemasonic, “religion of man”, with all things relative, emotive, and evolutionary, all in the preparation for the presentation of the person of the anti-Christ, who will command worship as God. In caritas. Like I said, all our popes since VII have been Modernists. As with the two thieves on either side of Christ, both well known sinners but only one repented, so we call him the good thief. It’s somewhat similar here – PF will never repent as he is steeped in Marxism & shows hatred for the CC & its founder, whom he refuses to bend the knee to preferring Muslims & Atheists instead. His election to the Papal Office is entirely questionable which PB’s wasn’t. I am not casting a blind eye towards PB as his writings & failings are there for all to see but at least he knew better than to say there is no Hell & no Catholic God etc. His worst inaction IMO was not to mandate TLM, as this gave NO Bishops the power to ignore Summorum Pontificum which they certainly did in Spain & has prevented us from having the choices available in some other countries. He also made terrible appointments (as did JPII) but, again, PF comes out on top of the list for demonic wilfulness against the True Faith & his respect for Martin Luther & Protestantism in general is breathtaking. PB never surrounded himself with unrepentant abortionists, pro-abort population controllers etc. nor did he ever visit/receive communist leaders or ignore Christians in favour of Muslims. For all we know PB may, indeed, still be pope as there cannot be two popes but those that know the truth have their lips sealed. Ana, the “failings” of Ratzginer/Benedict were much more damaging to Christ and the Catholic faith than Bergoglio/Francis’s verbal rantings and ravings proving his apostasy because Ratzginer/Benedict was the stealth enemy, able to deceive so many into believing he was orthodox and a true son of the Church in order to accept his heretical, non-Catholic theology and philosophy as true. Sadly, most still do believe and have accepted not only the heresies of Vatican II but Ratzinger/Benedict’s anti-Catholic, anti-Christian theology and philosophy which he was able to enshrine into every document he signed as head of the CDF and “pope”. You seem to aspire to sedevacantism which would have us believe that Christ was not true to His Word & that He did leave His Church long before VII. Even if VII was an invalid council no-one can prove that God hasn’t sustained His Sacraments (ex opere operato). If the CC was not prevailed against by the Gates of Hell then where is it? If it still contains the four marks of One, Holy, Catholic & Apostolic & the seven historical marks, then Christ’s Church must be visible, otherwise sedes fall into the Protestant error of the unscriptural invisible (underground) church. Peter chose Rome to build Christ’s Church on earth. Being led by very evil & totally unworthy men throughout history hasn’t brought it to ruin although very near to it at times. It is purely through its divine origins that it has survived & will until the end of time. Whether many will adhere to its fundamental teachings – the Creed, Ten Commandments, Deposit of Faith, Magisterium, Tradition, no-one is in a position to say. IMO the present incumbent of the Papal Office has detached himself from those commandments/teachings & needs to be removed. Others say once Rome accepts him as their Bishop then he is entitled to the position of Pope. History will eventually clarify matters but most likely not in our lifetime. This apostasy was predicted by Our Lady at Quito so our forefathers knew it was coming as did CC Popes & Hierarchies but were unable to quash it. Nonetheless as members of Christ’s mystical body we must stand firm & trust in Him, as He can never waver & His Will be done, when as how He decides. Ana, your posts confuse me. You admit that all of the popes since Vatican II have been Modernists, which means they deny the true, Catholic faith, then you speak of the failings of Benedict as if a Modernist could ever support the Truth. I simply pointed out the truth that Ratzinger/Benedict is an apostate, like Francis, but was able to convince most that he is not. One of his most serious denials of the true faith was his denial of dogmatic certitude. Falling as you are, into their paradigmatic, ideological, conundrum, is precisely what the Modernist yearns for you to do, as in your suggesting that Jorge Bergoglio is somehow, “steeped in Marxism”. Bergoglio does not yield service to “Marxism”, that is the trap which the proletariat, “useful idiots” fell into. Bergoglio yields his service to his prince, Lucifer, as we either serve Almighty God or we serve Lucifer, not an ideology, which is an human construction. Our Blessed Lord and Savior commanded that we are either with Him or against Him. There is no service to Marxism, which is in some sense, an idiomatic trap. 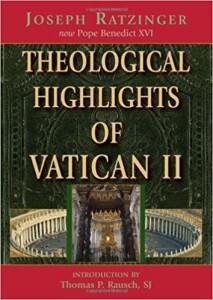 As it relates to the quintessential deceiver, Josef Ratzinger, do you truly believe that he ever had any intention of resurrecting the Traditional Roman Mass, the only true Roman Mass, as One God can only have One Truth, One Church, One Faith, One Religion, and One Holy Sacrifice, as anything more than One is infinitely less than Unity in infinity, as only God Is. If he ever had any intention of such, he would have resurrected the beautiful language of his holy predecessor, Pope Saint Pius V, in his Apostolic Exhortation, “Quo Primum”, which codified infallibly, the Singular Roman Rite Liturgy of Trent as the only Roman Rite of the Holy Sacrifice which must, as it only can, prevail until the end of time. Paul VI purportedly subjugated it with his disgraceful and profane, “Missale Romanum”, which he simply could not do, as the Freemasonic, active sodomite, anti-Pope that he was. Don’t take my word for it. Read the works of Don Luigi Villa, who at the behest of Padre Pio, spent the last 50 years of his ecclesiastical life rooting out Freemasonry from the highest levels of the Ecclesial structure. God rest that holy man’s soul, Don Luigi Villa. His life’s clerical work was also under the Papal Mandate of Pope Pius XII, given the clandestine cover and ecclesial access of Cardinal Ottaviani and two other faithful Princes. Find his work at Chiesa Viva and know that once you understand his work, there is no turning back. You say that Ratzinger did not deny hell. Of course he did, only his denial is cloaked in the deception of a virtuoso. Ratzinger denies the doctrines of Original Sin and Transubstantiation, again for those with eyes to see and ears to hear. Therefore, Ratzinger denies the Deity of Jesus the Christ, Son of the Living God, as God Himself. You cannot at once reject the doctrine of Original Sin and accept the doctrine of everlasting Hell. See the scholastic work of James Larson on Josef Ratzinger here, http://www.waragainstbeing.com/node/55 and here, http://www.waragainstbeing.com/parti-article12. In caritas. I think you would do well, Ana, to look more into what it means to be a member of the Church – who is and who is not a Catholic – by the Church’s own (pre-Vatican II needless to say) teaching. The Church is the congretation of the Faithful, not of heretics. When you recover from the blast of that bombshell, you may see things a little differently, even though it takes quite a bit of re-adjustment. There is an unresolved, objective doubt surrounding the validity of the Novus Ordo sacrament(?) of Holy Orders. On one front, it has a different FORM than what Pius XII said was necessary for validity, i.e. it means something in contrast to the traditional rite which Pius XII taught; and on another front, even granting Paul VI was a true pope, it is not even clear that he made the new rites binding, i.e. he did not excercise the binding force of the keys of the Kingdom, so we don’t know if it is bound in Heaven, and therefore, we don’t know if it’s safe or valid. You refuse to admit what’s staring you right in the face. Modernists are heretics. Heretics are not members of the Church, therefore, “modernist” “popes” are not popes at all. That’s why they can spew all the crap that comes from their mouths and not be prevented from doing what a pope would be prevented from doing. I could be wrong about this, but wasn’t VII one of the only, if not the only, council to be called not due to the church addressing a known heresy? In other words, it was not necessary, except to address the desire by men to dumb down the Mass so even we hicks could understand it, wave our arms like Protestants, and feel like we are “participating”. Hey, this is like that story of the dike and a boy plugging it up with his finger. Only now, the dike has a million holes. How long can any organization last when the people on the inside hate it and want to change it? Oh, God will have the last word, surely, but, things are going to be rough while we wait. Hang on to the old faith with all you’ve got. You arent wrong. This council was called to eliminate the Catholic Faith. And, for the vast majority of souls, thats what it did. Almost no man or woman holds the Faith anymore…..as St Leonard of Port Maurice told us long before this deviant council took place. Shame on the bishops who signed off on it (there were a few hundred dissenters who held fast out of about 2000). It was the perfect time for the enemies within to pounce on an opportunity of a lifetime, taking advantage of the turbulent and chaotic 1960’s. They had been stealthily working underground for a century or more, passing on their anti-Christ, anti-Catholic theories, theology and philosophies, while gaining new adherents. They understood well the tactics of the Protestant and French revolutionaries that were so successful in deceiving millions and winning souls for Satan and used them just as successfully, while their Communist and Freemason infiltrator’s rose to levels of power. It was the time-the perfect storm-for a new Revolution against Christ and His Church to break out into the open and it evidently succeeded, most likely beyond the imaginations of the instigators. 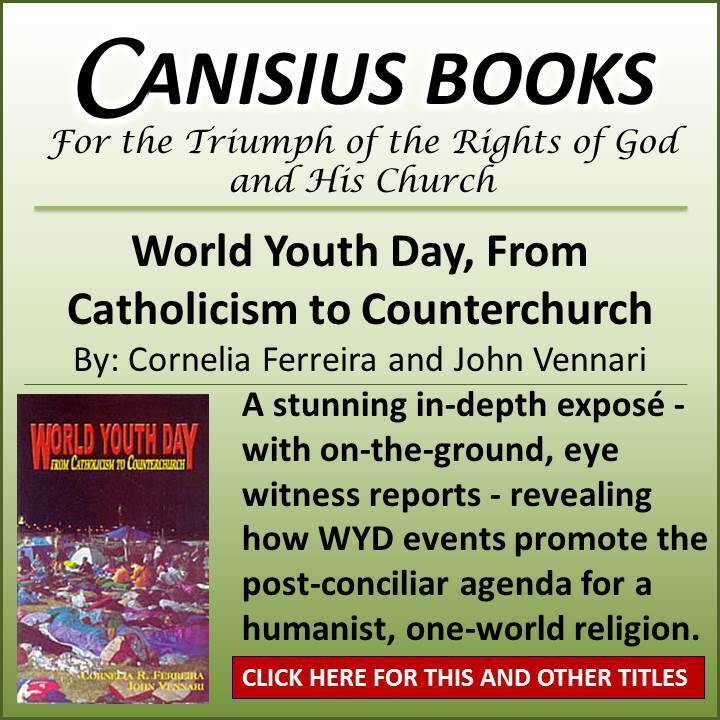 They have accomplished what Luther and Cromwell never could have hoped to accomplish-Church leaders who deny Christ, are His enemies and are not yet done destroying what little they have yet to destroy of the true Catholic faith. Love that quote maryiloveher – Absolutely – Pan towards God and Man is God through Pan! Sorry Beneboy – its not a place one can back track after the Ambush, carefully covering your own tracks, and those of your fellow Wolf Pack veterans, cussing and swearing as though you had nothing to do with the Slaughter of the Lambs. In this valley of the shadow of Death to the soul of the sheep and lambs, you have no Escape. Try as you might of soften the sentence at Judgement, God have mercy on your soul. The Greater Deceiver til The End. Return to the True Catholic Traditional since the Ascension and Descent of the Holy Ghost or….spare us the Literature research lessons – we have all learned the Faith the hard way. bitter experience, with true sorrow for sin. I wonder where the proceeds of the 30 pieces of silver go from Beneboys book sales? The plot of Judas maybe? anyone know the fact here? Our Lady of Good Success – Ora pro nobis. St Padre Pio Ora pro nobis Padre, as you were often seen, baby sitting the Baby Jesus near your cell, caste an eye of mercy in our direction for what few good works we do on your instruction. Fr Luigi Villa thank you. Explaining why something happened, or did not happen, really doesn’t cut it anymore. There was a time when words would hold sway. I think that time has passed at this point. We need to see more action and less words from churchmen and churchwomen who are prepared to defend and spread the faith. Benedict is not such a churchman, it saddens me to say. 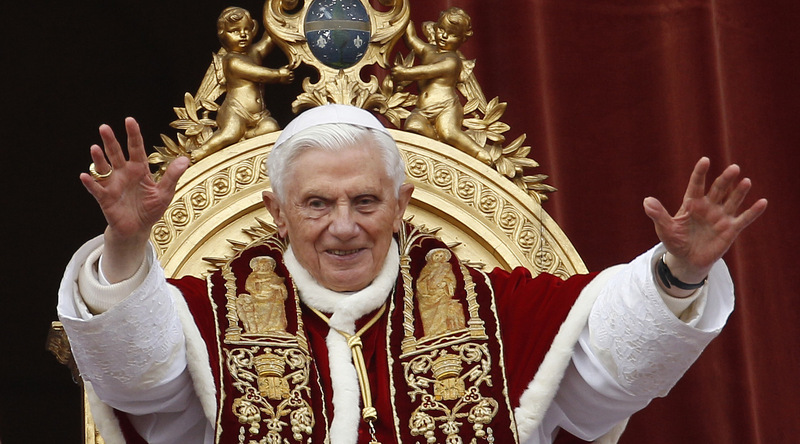 Pope Benedict by resigning has increased the rate at which the Church is being allowed to die – through the election of Pope Francis. Benedict’s words and his actions are the accelerant in that demise. And another address by Cardinal Sarah (https://www.thecatholicthing.org/) where his eyes are open to the reality that the Conciliar Church is, in fact, a different church than the Catholic Church while at the same time, blind to the fact that if it has abandoned the roots-the past and Tradition-it cannot be the true Catholic Church, as there cannot be two (or more) separate, distinctive Catholic Churches. Yet, he is blind to the fact that if the post-Conciliar Church has “indisputably abandoned Her Christian roots and past” she cannot be the true Catholic Church as there cannot be two (or more) separate and distinct Catholic Church’s. Logic and modernism don’t mix. …That’s why they can hold both simultaeneously, like Orwell’s Doublethink. Let’s hang in there Our Lady of the Great Event will be here in God’s time. There’s more to the TAI website than first meets the eye. “Don’t Taize me, bro!” That’s funny! For those who don’t know, Taize is an “ecumenical” — that is, Protestant — “monastery” in Switzerland, faddish even before Vatican II among trendy Catholics, as well as Buddists, Hindus, et al. And “Don’t Tase me, bro!” came from the 2007 Taser incident at the University of Florida, when cops Tased student Andrew William Meyer, and he used that phrase. Since Vatican II, faithful Catholics have been both Tased and Taized. It’s been 53 years since Sacrosanctum Concilium. We know what happened just from looking: total disaster. There was no “renewal.” As to the “hermeneutic of continuity,” I prefer another 1960s joke: Herman Munster. Before the Council, Catholics were taught that to fulfil one’s Sunday obligation, one had to be present – at the minimum – for the Offertory, the Consecration and the Priest’s Communion. So, someone may have the intention to fulfil his obligation in good faith, but in actuality he either might not, or does not. Imagine that God would have approved of a man-invented liturgy, a liturgy reflecting heresies, necessitating blasphemy and sacrilege, after giving the Jews intricate instructions on how they were to properly worship Him, knowing the impossibility of it and one cannot but reject the Novus Ordo as an abomination because it is such a liturgy. And Benedict calls it the “Ordinary Form” of the Roman Rite – along with a million Catholics who merely “prefer” the “Latin Mass”, rather than reject the Novus Ordo as a principle. Another great article, Louie. I know people who think that if Benedict would return, all would be good. They forget that he is part and parcel of the revolution. Things can only get worse from here because the apostates are in total control of the Church and they will stop at nothing less than a protestant church for us all. I think that most Catholics would be fine with that. Our only hope is in the Immaculate Heart and her triumph. May it be soon.